Today is National Kale Day! 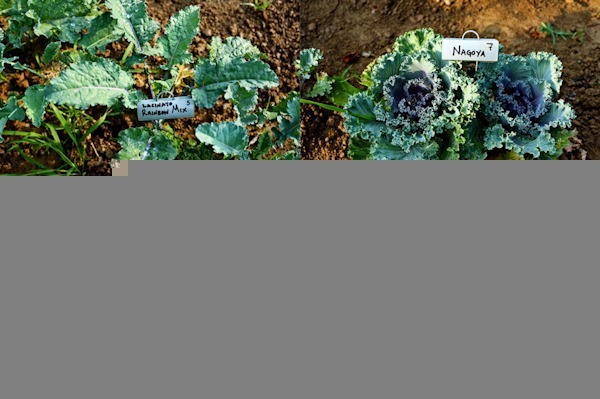 -Scientists have named over 45 different flavonoids in kale. That’s one packed leaf! These provide antioxidant and anti-inflammatory benefits to keep the body in tip-top shape. -In recent research, scientists have found that nutrients called glucosinolates are converted in the body once kale is digested and then help to fight cancer. -1 cup of cooked kale is an excellent source of many vitamins and minerals: vitamin K, vitamin A, vitamin C and manganese. Kale contains nearly twice the amount of vitamin K as most of its fellow cruciferous vegetables with 1,327% of your daily value! Its nutrients don’t stop there though – it’s also packed with copper, tryptophan, calcium, vitamin B6, potassium, iron, omega-3s protein and fiber. It’s also extremely low in calories. Here is a link to some fun kale trivia. You know, great content for cocktail party talk! Team Kale has a great cooking guide to kale here. My three favorite ways to eat kale are as chips, sautéed and massaged. 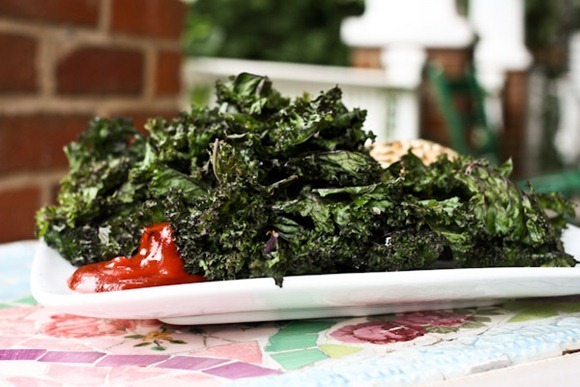 -As chips, baked kale gets crunchy, light and airy and you can dunk it into ketchup like fries or season it with flavors like nutritional yeast or smoked paprika. -When sautéing kale I fill a big soup pot with all the kale that will fit along with about 1/4 cup of water. When most of the kale has wilted down, I add flavors like olive oil, lemon juice, balsamic vinegar, or a drizzle of maple syrup! 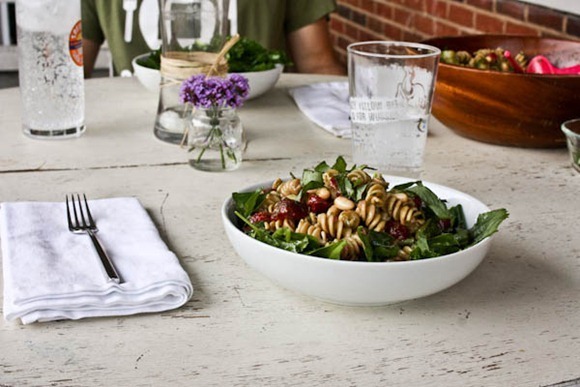 -Finally massaged kale salads are a staple of ours all summer. 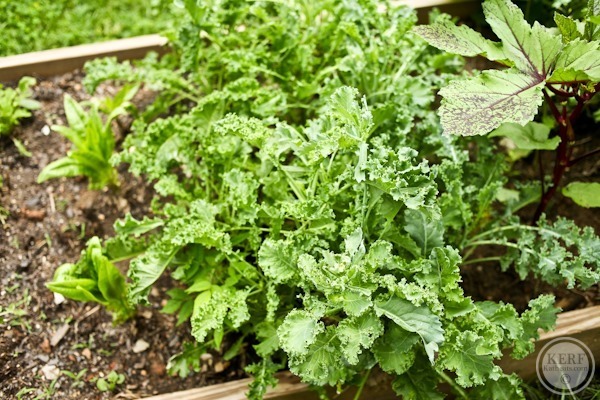 Clean and trim your kale and then put it in a bowl along with a generous tablespoon of olive oil, an acid like lemon juice and salt. 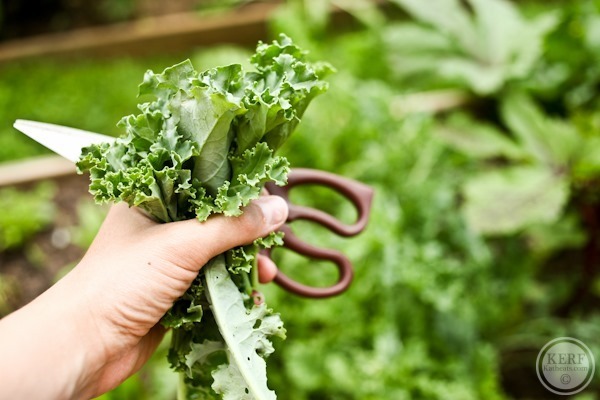 Massage with your hands until the kale leaves are tender enough to eat. 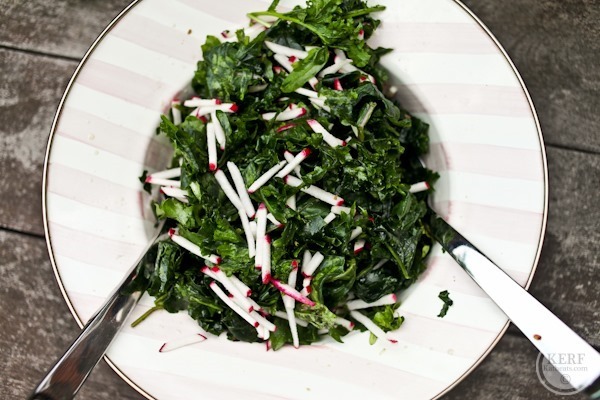 Here are some of my favorite ways to cook kale. And of course kale CHIPS! 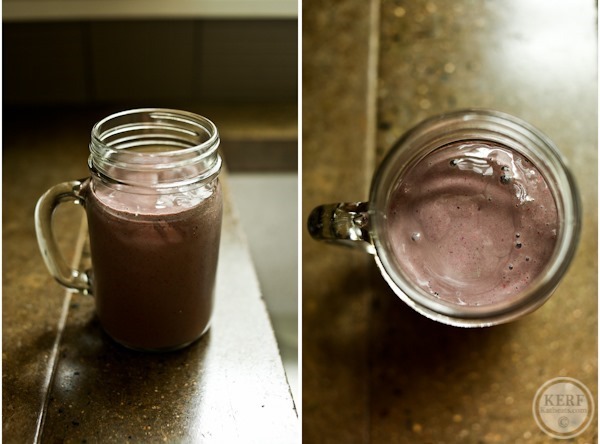 And don’t forget the kale smoothie! 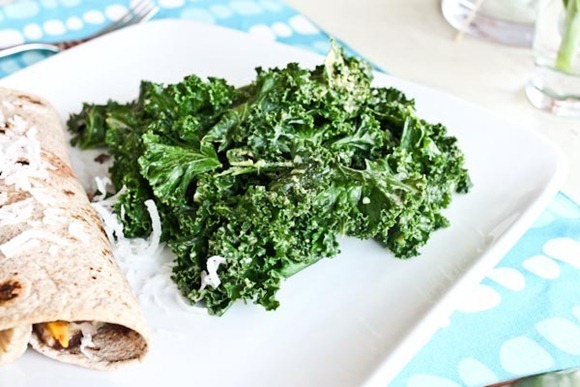 Unlike spinach, you can taste the kale a bit, but that’s not a reason not to try it out. 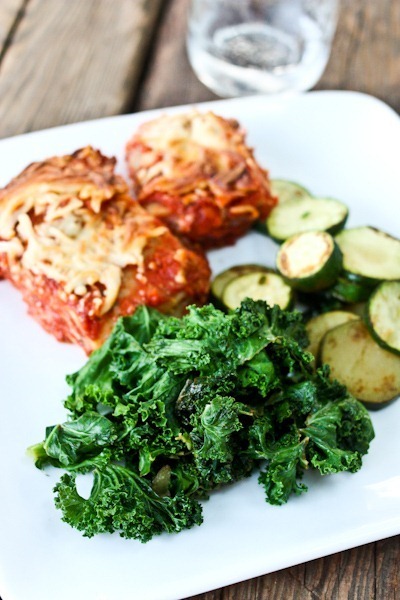 I LOVE kale as well, so many different ways to prepare it and it has a delicious flavor. 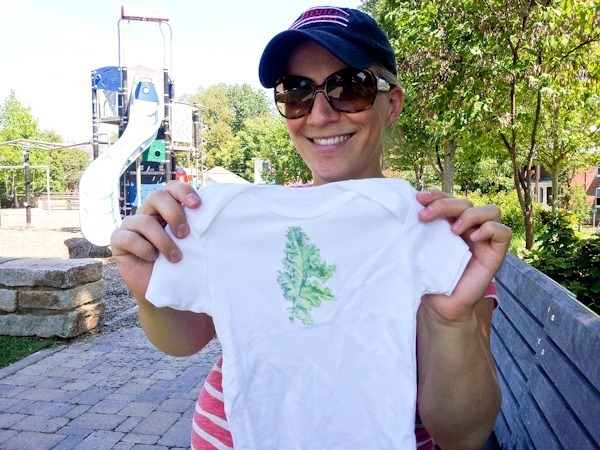 That kale onesie is pretty precious- I hope Mazen loves it as much as you do! I definitely need to try out some of your soup recipes, like the squash and kale one. Sounds great! Oh how I wished the Mr and I liked kale. We’ve tried it and just can’t jump on the bandwagon. I’m thinking soup may be our only hope at this point so I might give that a go before declaring it a complete no go. The White Bean and Greens soup is looking pretty promising! I love kale chips so much and always forget about them come meal prep time. I need to make a reminder! They’re the best! I love my kale and will definitely be celebrating today! I already told my mom about the “KALE” t-shirt I saw at Whole Foods (looks like “YALE”), and it’s definitely on my Christmas list, so maybe I should add the 50 Shades, too! 🙂 Thanks for linking up all your delicious recipes. Thanks for the post! I did one about national kale day today too! I like all the recipes that you have posted because I have only used kale in my daily smoothies and am not entirely sure what to do with it besides that. I linked this post in mine so that I could offer people some other ideas of what they could do with this wonderful leaf. Thanks again! I took me a while to get on the kale bandwagon, but now I’m obsessed. My favorite way to eat it is sauteed with garlic. MMMMMMM :). Happy National Kale Day! I’m planning on hitting up Whole Foods today for some kale. Ours is having a 5 for $5 kale special! Yeah buddy. Time to stock on up. I eat raw kale just about every day. If I’m at Whole Foods early in the morning, I will totally bypass the hot breakfast food and eat a plate of their Really Garlicky Raw Kale instead! I learned how to make their kale dressing from scratch-AB.SO.LUTE. AWESOMENESS! 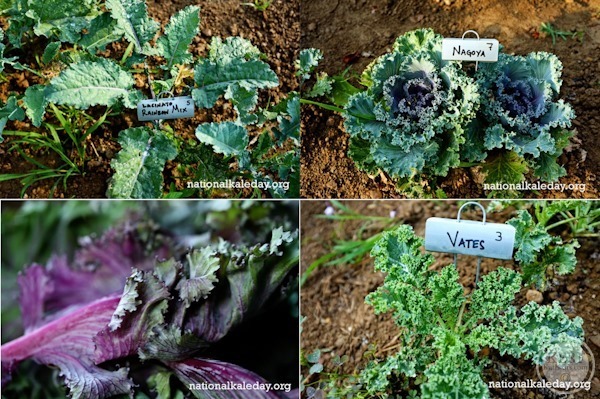 Ha, I LOVE that there is a national kale day! It deserves it, I love kale, especially sauteed or as kale chips! Veganomicon has sweet potato and kale enchiladas that are amaaaaazing! Kind of a pain to make but so worth it. 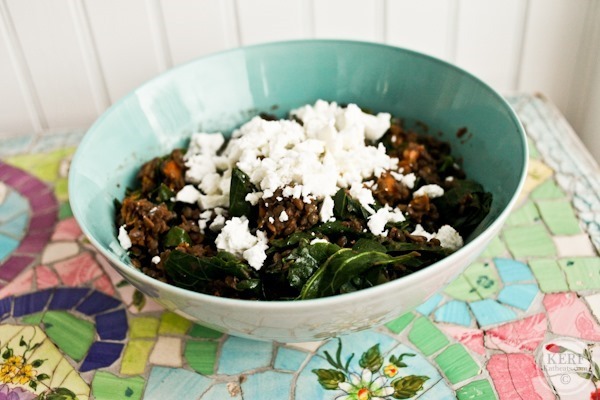 oh those smokey maple kale lentils sound perfect for fall! sign me up! Kath that video was super cute and informative. I have never tried Kale, but have been wanting too. Thanks for all the great recipes! Kale is one of my favorite greens for sure! So delicious! Love how nutrient dense it is and how it maintains a slight crunch to it when sauteed! Great post! 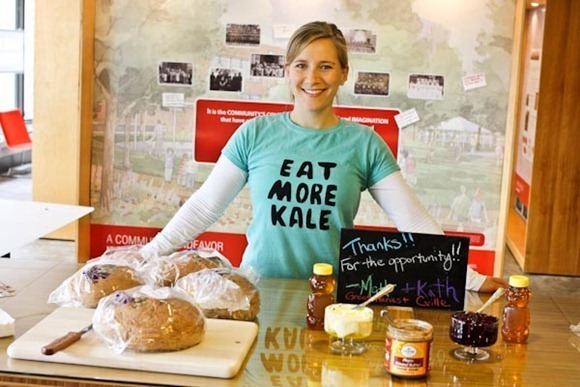 Jam packed with kale ideas — love it! 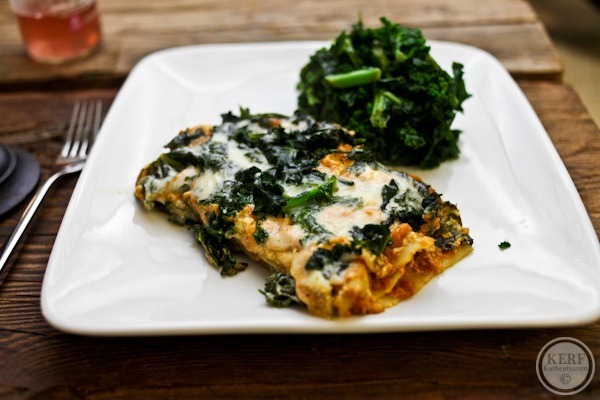 Pumpkin goat cheese kale lasagna – definitely making that for dinner tomorrey! Kale mania! Love it. Definitely a great veggie. 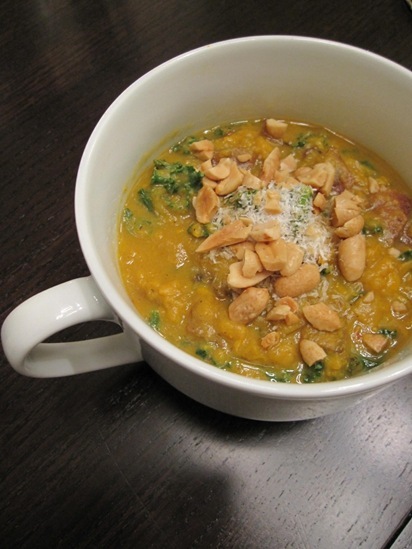 The kale soup sounds great with the nuts and vanilla…yum!!! By the way, how is Karen? Sending you all my love and positive thoughts. So glad to hear she’s doing pretty well! Kale is such a super star! I was afraid to try it for the longest time just because I didn’t know how to cook it (and definitely didn’t grow up eating it!). yum! kale just satueed in the pan with some spice is a fave of mine! Oh thank you for these recipes! I just had some of my co-worker’s kale chips today and I think I need to make my own. My favorite thing to make with kale is a brothy soup with white beans, kale, and turkey sausage. So good! I don’t like to put my hands in the food, so I tried a way to “massage” it with a kitchen tool. First I remove the center and cut the leaves into bite size pieces. Instead of massaging the kale, I mix it with the ingredients you suggest (oil and acid), and pound it with the potato masher. Works great, and no hands in the food. It also seems to work to steam, covered, for just 20 seconds or so, then add the dressing. Either way, I like to let it sit for about 15 minutes before serving. I don’t want to kill any vitamins by steaming, but the time is so brief that I thought it would be ok.
Creamed kale is one of my absolute favorites. I wash & slice it up pretty thinly. I sautee sliced shallots & some garlic in olive oil. Add kale when the shallots are getting a little brown and sautee until it’s wilted. Then add a can of coconut milk and sautee until it reduces into thick creamy deliciousness. Season with salt & pepper and you’re good to go. Total comfort food. Love this idea with coconut milk! 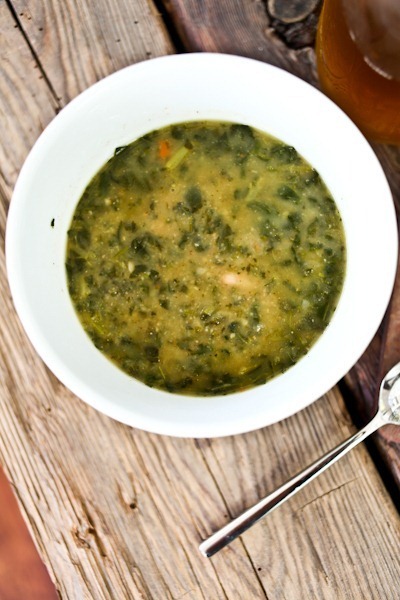 I’ve been making your nutty vanilla sweet potato kale soup for ages! It’s one of my favorites 🙂 And I tried kale chips for the first time after watching your video a couple of years ago. You have officially turned me into a kale lover! What a coincidence that today is National Kale Day because I woke up thinking that’s I’m going to prepare a new recipe for lunch…Moroccan Chickpea Stew with Kale and Sweet Potatoes! These ALL look delicious!!!! Kalicious piece of work 😉 Really loved it. I am also trying to eat healthy but as a bachelor I have to eat at restaurants. I use to go to McDonalds and other fast food chains but recently switched to healthier replacements. I found this article very helpful in doing so. Your video must have been really convincing because I’ve been meaning to make kale chips for over a year!!! I finally bit the bullet and I now know what all the hype is about! I garnished mine with olive oil, kosher salt and fresh dill and baked them at 350 degrees for about 10 minutes….delicious!!! Where I’m from Kale isn’t available really, so I have no idea what it’s like. Is it anything like spinach? Wow! I did not know that Kale is so healthy, better get me some!